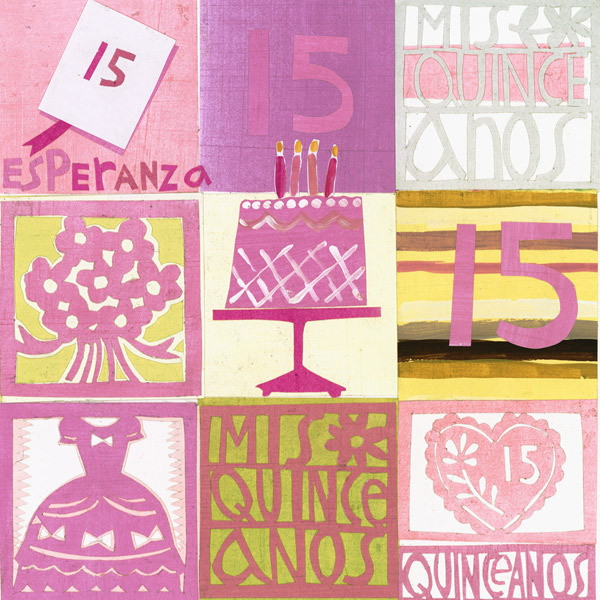 Quinceañera celebrations vary in different Hispanic cultures as well as from family to family. Some go for the big, traditional party, while others are low-key. But the meaning is always the same: The birthday girl is blooming into a young woman. That’s why she gets to celebrate in her way with what’s most important to her—namely, her family and friends. Here, ten Hispanic women from different cultural backgrounds share their unique and unforgettable quinceañera experiences. From the time I was a little girl, my dad talked about my quinceañera. He told me that I would spend the day in a white dress and that my friends and family would acknowledge me as a lady; the whole thing sounded dreamy. My best memory was the part I didn’t see coming. My dad and I have a song—”My Girl” by the Temptations. There was a moment at my quinceañera when my tia had told me to sit in my swing because we were going to cut the cake soon. Suddenly, our song started to play. Then my dad and my uncles (all six of them) came on stage, faced me and began to sing (and dance!) to our song. I was so surprised and touched…I will never forget it. My quinceañera was the day I realized that I could break down all the stereotypical barriers of being a woman. From that moment on, my life began to flourish…just like my womanhood. Though I was born and raised in Miami, Florida, I come from a close-knit family with strong Cuban roots. Celebrating my quince was an opportunity for me to learn about traditional Cuban customs and get more in touch with my cultural background. The most meaningful part of my quince was having my family and closest friends there to celebrate with me. Our daughter asked if her party could be packed with her friends and not viejos (old people). She pointed out that her baptism and communion pictures were full of viejos and that her wedding was also probably going to be full of viejos as well. She wanted at least one big party with her friends. So we invited 75 kids and 20 adults. The kids told me it was the best party they had been to because they got to dance all night and not sit through a program. I went to Acapulco with my parents and my brother, Chris. On my birthday, the four of us went to dinner. Even though it was small, it was meaningful because I spent quality time with what is most important to every Latin girl…her family. My quinces were small but special. My parents couldn’t afford a big party so we had a small gathering at our house with family and close friends. My brother and sister were in college at the time and had a trip planned to Walt Disney World with their friends the next day. They invited me to tag along and continue my birthday celebration in that magical place. A quince is really about coming of age, so doing my quince my way seemed appropriate. I didn’t do the typical white dress or salsa dancing. I wanted my celebration to say, ‘I am the next generation and things can change,’ while still acknowledging the culture I come from. I didn’t have a big quinceañera because we couldn’t afford it. Instead I had a family dinner. The attendees were the people I feel closest to. It was just a fun time for us to get together and enjoy ourselves with no other worries. I wasn’t interested in a big party or making a big deal out of my quince. I just wanted a trip overseas and my diamond ring, as was the custom in Cartagena, Colombia (my native town). Mami went to the best boutiques and brought home the dresses she liked for me to choose from. But I just wasn’t in the mood for any of it. (I ended up wearing an old dress that I liked and felt comfortable in.) Mami made an elegant dinner and invited all my classmates and cousins…at least 50 people. The house was filled with flowers sent by friends of the family…and she and Dompi (as we used to call my dad) gave me a bouquet of 15 red roses that served as the centerpiece. My family lived in Venezuela for several years when I was a child. I think my parents always wanted me to stay connected to their hometown, so for my quinceañera we traveled back to Venezuela and had a party there. It was a pretty big sacrifice for my parents to throw me such a nice gathering. My dress was blush pink, and I designed it and had it made. There was live music and great food and a photographer, and we all just came together to celebrate life and each other. Carolina Fernandez is a Hallmark writer, born and bred in the tropics of Miami, Florida. In her free time, she sings loudly, pretends she's a pro dancer, and dreams of endless supplies of chocolate.